How to choose the right espresso machine for your home. Choosing the best espresso machine for your home. 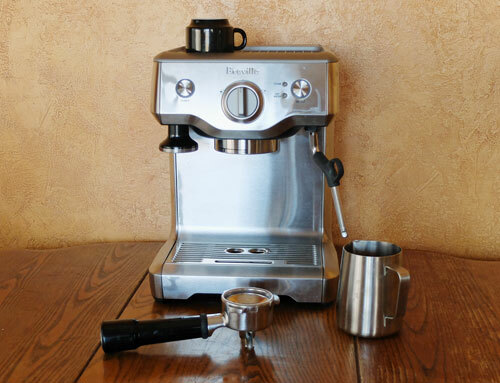 The Breville Duo-Temp semi-automatic home espresso machine. If you are looking for an espresso machine for home use, there are numerous options. The most popular machines for home use are the semi-automatic espresso machines. These espresso machines take care of the water temperature for both making the espresso and steaming the milk. 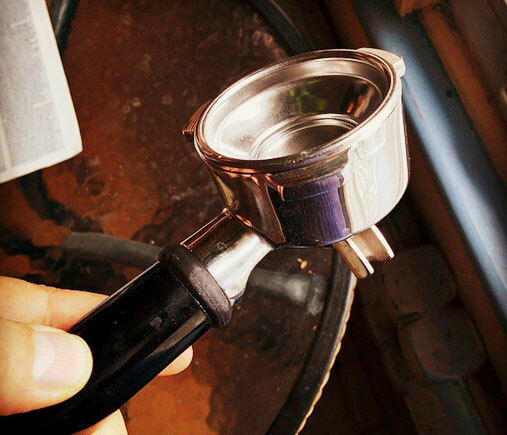 They also automate the pressure of the water applied to the puck of ground coffee in the portafilter. But they don’t control the timing. You have to turn a switch or press a button to stop the machine when your espresso is ready. There are numerous companies that sell this kind of machine, and each model offers a different range of features and options, at different price points. If you want to see a typical, mid-range semi-automatic espresso machine, check out our video of the Breville Duo-Temp Pro. 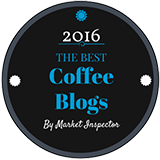 If you have a bigger budget, explore some of the fully automatic espresso machines for home use. If you have more to spend, and more counter space, there are some marvelous espresso machines to choose from. These are fully automatic, beautifully made and they look great too. 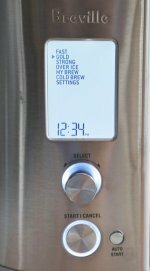 Check out the Saeco 4045 Vienna Plus and the Jura-Capresso Impressa C9. Finally, some brewers make drinks that are almost espresso, but not quite. The beverage created by a true espresso machine is not the same as the brew created by a coffee maker. The water pressure applied when making a true espresso has a unique and quite different effect on the ground coffee. 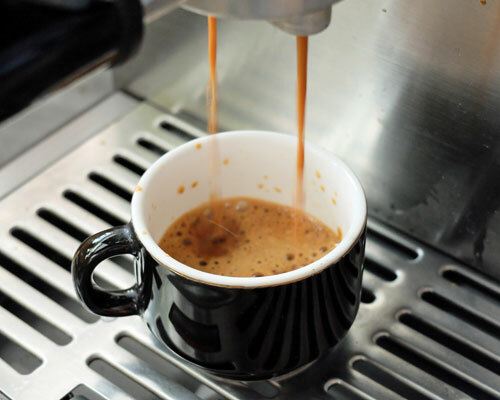 As a result, whether you are looking for a manual or automatic, if you want to be able to create a shot of espresso, you need to buy a genuine espresso machine. This means you are not going to buy one of those single-serve coffee makers that come with capsules or discs for making cappuccinos and lattes. For example, the Tassimo brewers use discs to make regular coffee, cappuccino and latte, along with some other beverages. But these are not espresso machines. They can’t make you a real shot of espresso. And their espresso-based beverages are not the real thing either. This isn’t to say that a cappuccino made by a Tassimo brewer isn’t any good. It tastes OK. But it really isn’t the same as the real thing. The closest we have come to finding handmade quality in a single serve espresso machine is with the Nespresso Inissia, which we use a lot. 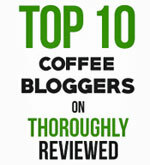 Bestselling espresso machines at Amazon.com. Making espresso-based drinks like cappuccino, latte etc. Our video demo of the Breville Duo-Temp Pro. The Nespresso Inissia espresso machine. I love handling the portafilter for my espresso machine. It has weight and heft. It gives me the hands-on feeling of being part of the espresso-making process. Making espresso with a home espresso machine. 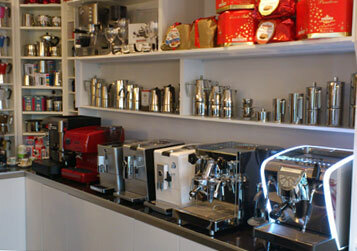 A display of home espresso machines, from very expensive automatic machines to inexpensive stove top alternatives.